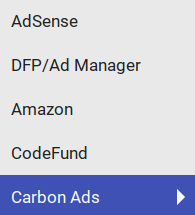 Carbon Ads is now available at Advertisement Plugin! It is being used by top-level websites, such us @codinghorror’s blog, GetBootstrap, Font Awesome, etc. That ad network works only by invite, and they are looking for sites focused for developers, artists and business people, mainly. 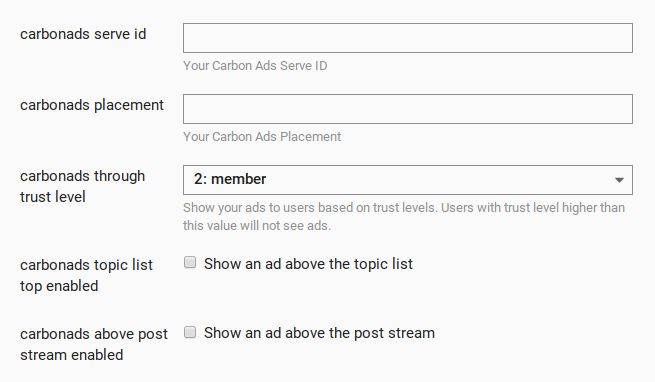 In order to apply, you have to send an email to hello@carbonads.net. So, in Admin>Customize>Custom CSS, you can alter those classes to make it look as it best fits you. As you pointed out in the PR, people will need to add https://srv.carbonads.net to their content security policy script src setting.